Having children is the single most expensive thing you will ever do. However, the good thing is that while having children comes with a lot of initial expense, the majority of the costs are spread over their lifetime, at least until they are 18 and they get ready to leave the family home. The problem is, that as kids are constantly growing, their needs grow likewise. Whether it’s new clothes, nappies, food, money for school trips, or school uniform and lunch money, it’s likely that a lot of your money will be spent on your offspring throughout their life. 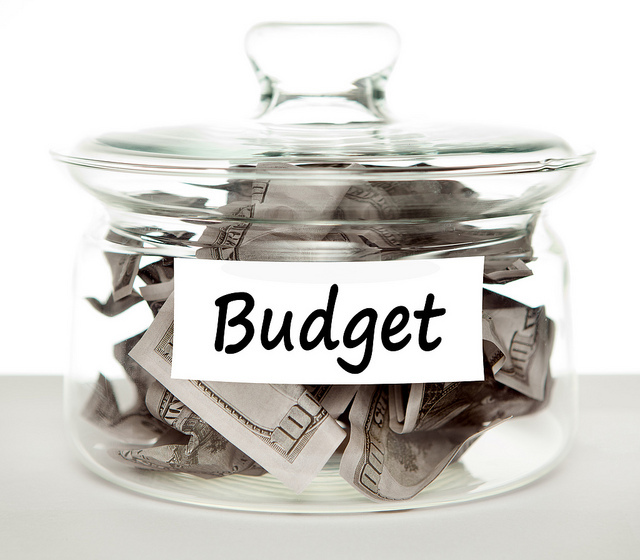 So with so many different costs to bear in mind, how on earth do you work how your monthly budgets? Here are some tips for budgeting effectively for a growing child. Although initially you will not want to be parted from your bundle of joy, there will come a time when you have to go back to work, or you go out for the evening with your partner and you’re in need of childcare. The costs of day care are mounting and competition for places can be fierce. But for many, they are forced to return to work as one wage just won’t cut it. If you’re in this situation, you can keep your childcare costs low by asking a family friend, next door neighbour or elderly relative to take care of your baby for the day. Grandparents are always happy to spend time with their grandchildren. And if you’re planning to go out for the occasional evening, you could use the services of a college student or older child of a family friend to keep costs low. Co-operative Flexible Benefits offer Co-op childcare vouchers to aid with growing childcare costs. As babies, feeding them is easy enough – you simply need to get your hands on baby milk formula. But as your kids grow, you’ll find that they are constantly complaining of hunger. A mere sandwich will not fill them up at lunch – they’ll need fruit, crisps, yoghurts and maybe even a biscuit until they feel full. And if your kids are boys, all that running around playing football builds even more of an appetite. The main reason kids eat so much is usually down to boredom, so rather than incurring growing food shop bills, come up with new ways to keep them occupied instead. A walk through the park, some colouring or board games is a great way to keep your kids entertained and stop them from thinking about food. Once your children become teenagers, it is likely that they will start to pester you a lot more often for your hard earned cash. Whether it’s so that they can buy magazines, sweets, clothes or the latest electronic devices, young teenagers sometimes do not realise the full value of money. So instead of bowing to their every whim, teach them about the importance of earning their own money to pay for their wants. Of course, you can still supply them with money for necessities, but for anything else, encourage them to get a part-time or Saturday job. Unfortunately due to the recent economic downturn, many adult children have been forced to move back in with their parents as a result of not being able to find employment or to be able to earn enough money to move into their own place. While it may be enjoyable to see your adult children on a daily basis, without a job and steady income, they are likely to put a strain on your own finances. Instead keep them as active as possible. Set down some ground rules form the off to ensure that they are doing their utmost to find employment. Once gained, they should be able to afford to pay you a small amount of rent or food money to ensure that they are not exploiting you. Take the above points into consideration when working out your budgeting for your family. Tags: Budget, Child care, Childcare, Day care, Daycare, Family, Home. Bookmark the permalink. Previous post ← How Can Modern Stores Maintain Such a Large Product Range?